Mrs. Josephine Simmons Headen, age 74 of 450 John Robert Headen Rd., Moncure, NC, passed Thursday, November 1, 2018 at her residence. Josephine, affectionately known as Josie was born Nov 11, 1943 in Cairo, Georgia to her very proud parents Walter and Dollie Simmons, whom have both preceded her in death. Josephine and her parents moved to Bronx, NY when she was just 14 years old. 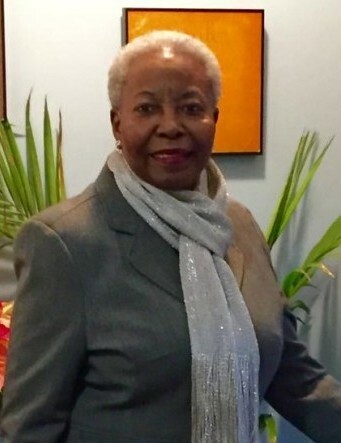 Josephine attended Morris High School in the Bronx and graduated in 1962. In 1964 Josephine met Charles R. Headen. After a very brief courtship, Charles knew that Josephine was going to be the woman he would spend the rest of his life with. Charles and Josephine married just 9 months after meeting. To this union they were blessed with four beautiful children. Josephine was a very active member in her church. She was a devout usher, a member of the Senior choir, on the missionary Society and on the Deaconess Board at Mt. View AME Zion. Josephine had a true passion for helping others and bringing her family together. She was always there to lend a hand or make some of her delicious meals and her unforgettable cakes. She will always be remembered for hosting The Fourth Of July Barbecues at the Homestead she loved to call "The thrill on the hill". Josephine retired from New York City Department of Social Services. She and her husband were the proud owners of C& J Pants and "Thangs" in Bronx, NY and Fashions Unlimited in Hempstead, NY. In 1990 Josephine began working with Northshore Hospital Health System where she dedicated her time as a hard working floor secretary on her favorite Floor 5 Monti. In 2005 Josephine retired and relocated to Moncure, NC to enjoy retirement with her husband. It was here where Josephine's life journey took a sudden end but the memories of her will live on forever in the hearts of her loved ones. She is survived by her loving husband Charles R Headen; her four loving children Charles K. Headen (Adriana) of NY, Jamal Headen (Deysi) of NC, Tawana Mateo (Manuel) of NY and Reginald Headen (Christine) of FL; her 13 grandchildren: Khourie, Sharima, Reshawn, Priscilla, Asia, Kaylyl, Matthew, Aliyah, Kailey, Perla, Esmeralda, Alexander and Ariana; 1 great grand. (Xiaa) ; foster children: Violetta and Logan.. She is also bereaved by her sister, Orangie Cochran (Charles); a brother, Walter Simmons (Bernitha); a sister-in- law Hilaria Simmons and a host of nieces and nephews, relatives and friends.